Were you being sarcastic about that or did you mean it? My Youtube Profile|PM me for my MSN! 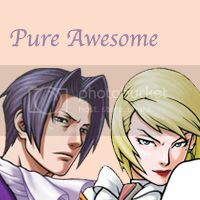 And pure awesome = s to the exy. Yeah, as soon as I replied to that, it occurred to me that that might be the case. Oh cool! But I won't do it. I wish everyone else luck though! Yes, we're especially in need of men. Come check it out! Tigre? I thought it was only gonna be the first game? I'm not sure, but I think he's only in the opening song: August day by TriforceBun... That song is so good! You can't spell justice without juice. Yes, it's only the first game, and Furio Tigre only has a small cameo in the opening number, August Day, which you can listen to here. ^Click to visit the project website! Last edited by Arri on Thu Feb 04, 2010 4:59 pm, edited 1 time in total. Good song But what's it about? Ah, I see... Is there gonna be a video to go along with it? Really, everything is on the forums for the project. It's gonna be animated so of course there will be visuals. Now, everyone, let's carry a tone of respect here, please. A person asking whether or not there will be a video isn't looking for a snarky comeback. Actually, the first art meeting will be held this Sunday to discuss planning of the animation and/or storyboarding process. If you're interested please check out this announcement and discussion on our forums. Leeness and ThePhantomOtaku are our awesome art heads. Everyone involved in the project, I'm really sorry for my lack of involvement lately. My computer messed up in such a way that it was impossible for me to listen to Putfile without the whole thing shutting down, and so I sort of forget about it and then I ended up being really busy...I will be back, promise. 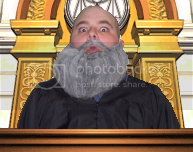 Greetings, people of Court Records! 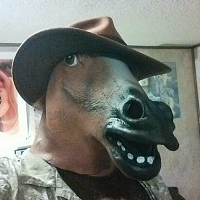 I know this thread has been dead for over a year now, but rest assured, I am resurrecting it for a very good reason. The entire project is being recast. We realize that if we go through with this recast, the project MAY die. But if we don't recast, then it will DEFINITELY die. And all of us agree that we'd rather take any chance we have, and fight with every last bit of energy we can muster, than let this thing slowly putter out and fade into obscurity. Part of the point of this recast is to get new talent involved with the project. Don't miss this opportunity to audition! You might be just what we're looking for. Audition information is here. Auditions close February 16th - I apologize for the short notice. THE PWM IS GETTING IS OWN PANEL. You heard right, guys and dolls, we're having our own panel! Allow me to quote my good friend MaxwellsDeamon to giva y'all a little info (You could also click the link below, that works as well). SO what our our plans? Well naturally to get as many people to come to those cons to show off what we've done so far, INCLUDING what will hopefully be our VERY FIRST FULLY ANIMATED (keyframed) SONG, WHAT WAT?!? yeah, that's right, and it's a world premier, which means there wont be ANY sneak-peaks until we go to those CONS. As for who is going? Well the Leaders are still trying to decide who will go to each, but be sure that Pleady, Diana, Shawni, Myself, Arri, and a few other people will be at one or the other (unless we can swing both, but I kinda forgot who said which they'd definitely be at, so everyone can sound off below). Now all the information is a little up in the air for now, but as we get more info I WILL BE SURE TO MAKE SURE IT ENDS UP ON THIS MAIN POST (as well as in the comments)..
OH and as for which song we'll be animating? August Day! THATS RIGHT, BEGINNING TO END OF AUGUST DAY WILL SOON HAVE PICTARS TO GO WITH IT! So when are these cons? That’s right, pals. The time has finally arrived. This year, we have a very special Christmas present for you! 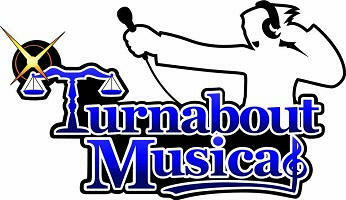 Please join us for our live stream and help us celebrate the release of the Turnabout Musical Original Soundtrack! The album will be played in its entirety during the stream, as well as special greetings and messages from key members of this crazy project, and when it’s all over, you’ll be able to download the soundtrack for free from our website. And be sure to join us in the YouTube-provided chat room as we reminisce and chat about this amazing fanwork and our journey to get to this point. Does anyone know where some of the original demos are, too? I used to have some but don't anymore! As to the original demo's I'm not sure but maybe there is info on their facebook page (there's a link to it on their site). They closed the forums whilst they were preparing the final version of the full soundtrack (which is now available for download on their site minus 'Dawn of a New Trial' because they were trying to remix a few things) for release and as far as I'm aware they never opened them again. Thanks ^^ My involvement was scant compared to others but I still had a lot of fun working on it. Please forgive the thread necromancy, but it just wouldn't do not to post this on the original thread. Full circle and all that. 9 years later, we now have a complete show available for your viewing pleasure! Note that this show was edited down from the original version(it's STILL 3 1/2 hours! ), the biggest cut being case 3. I do! I actually was planning on putting together a download of the accompaniments, I kinda let it fall to a back burner. I'll put it together as soon as I can! Gonna commit thread necromancy because I've waited to see this musical come to fruition for years and I finally got the time to watch the multi-cam edit today. The performance was fantastic, I couldn't be happier with how it came out. The singing was incredible, the casting was spot-on and the dialogue was quick and precise. I'm particularly impressed with how you were able to simplify the cases enough for the stage while sacrificing the bare minimum of the story. The sheer quality of this was amazing, and I couldn't be more happier, and thankful, for the people that put it together. I've always liked to look at the different ways you can tell the story of the first game. The video game seems to focus on Phoenix's relations with Edgeworth while the original musical seemed to focus on Phoenix and Maya's relationship, as well as Phoenix's confidence as an attorney. This production took it a whole new direction, showing Phoenix's relations with all of his friends, not just one or two, and the epitome of this is that final song, a masterpiece. I cannot thank everyone involved enough for making this production, as well as giving me a great amount of entertainment over the years.